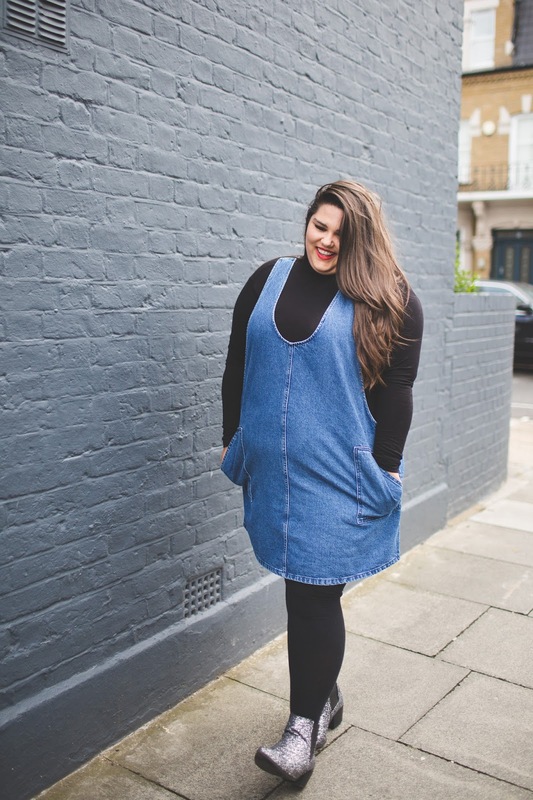 Denim does not have to always mean wearing jeans, and it most certainly doesn't have to be boring. 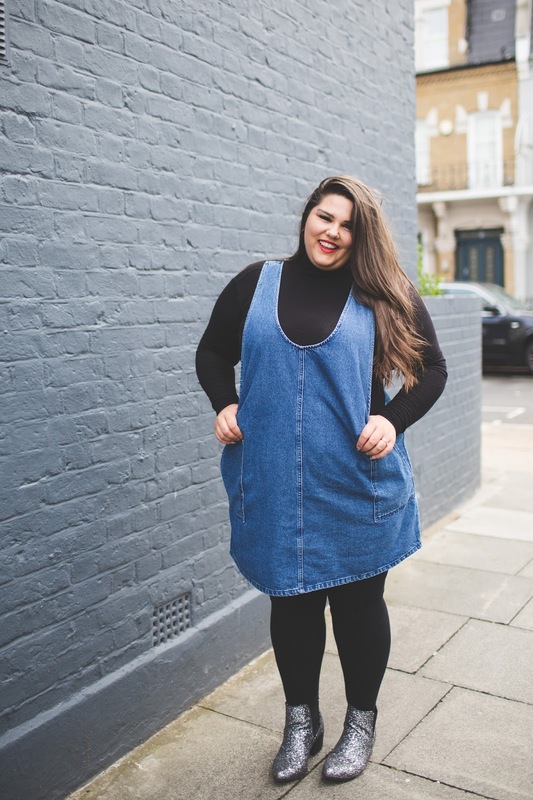 If you have noticed I am a big fan of pinafores, dungarees, and jumpsuits, I like the way they provide a casual relaxed look, which is a style that I am most drawn to. This was another look I featured in the October issue of my Marie Claire Curve Column . 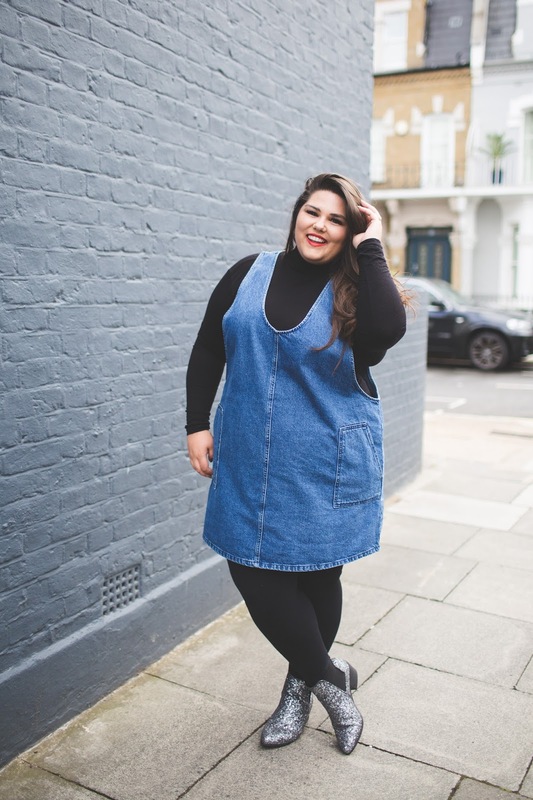 The pinafore is the perfect transitional autumn piece, you can wear it on top of T-shirts when the weather is slightly warmer or with a roll neck like I have here on those colder days and it is so easy to just throw on and still look good. Personally I prefer to size up with this style, the baggier the better, but surprisingly this was a true to size dress. I chose to pair with my old glitter New Look boots to add a sparkle to the outfit. 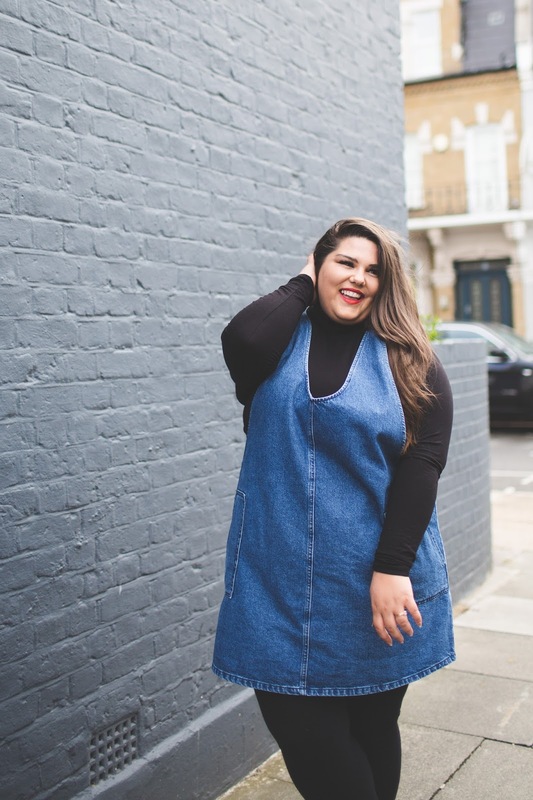 This ASOS Curve Denim Pinafore is in the sale for just £21 and is available in this blue denim and grey. See below to shop my look.